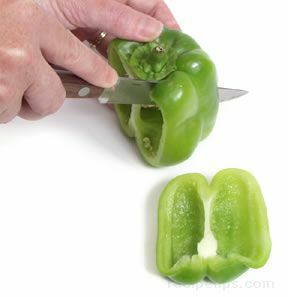 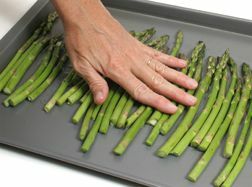 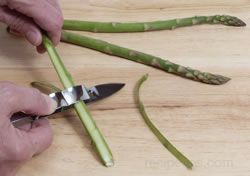 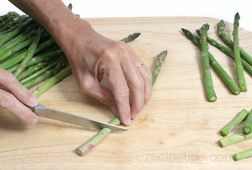 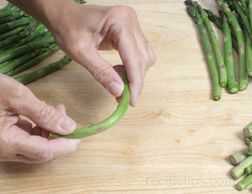 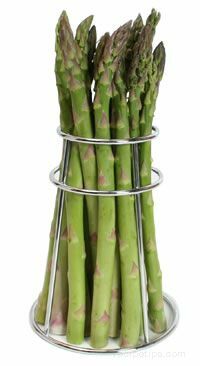 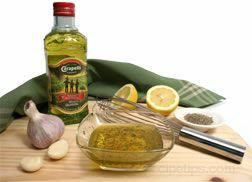 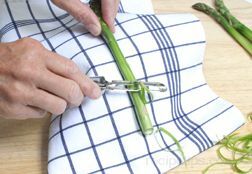 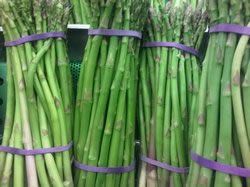 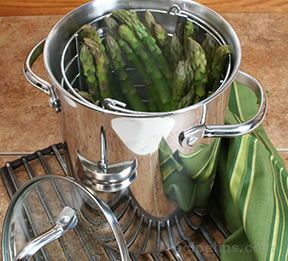 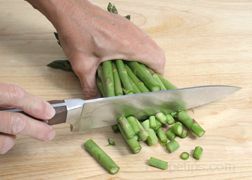 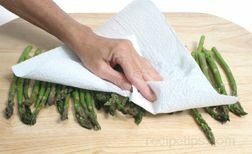 Rinse asparagus under cold running water to remove any dirt or sand from the stalks and tips before beginning preparation. 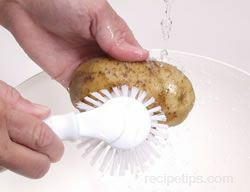 Do not wash until ready to use. 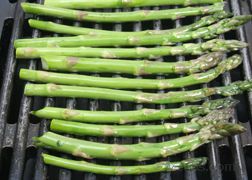 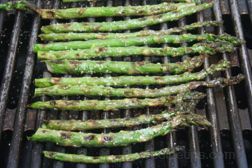 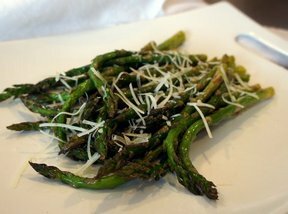 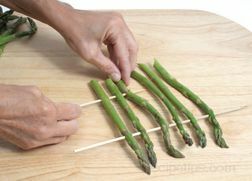 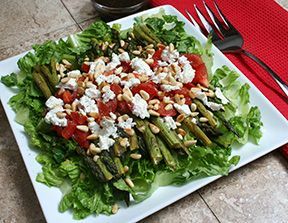 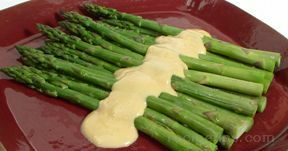 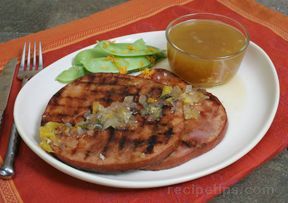 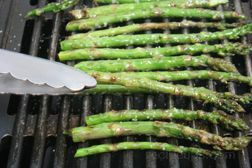 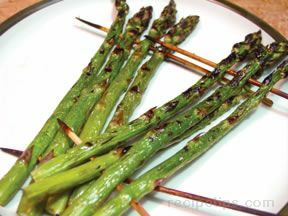 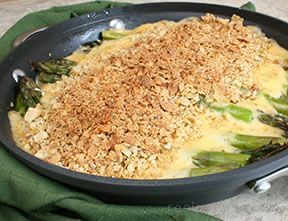 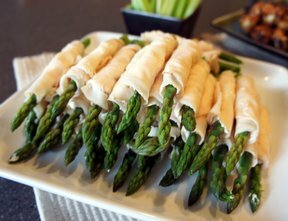 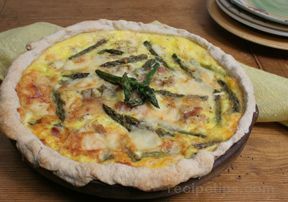 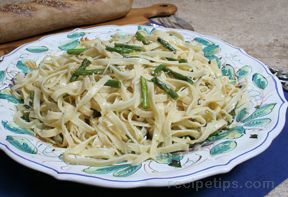 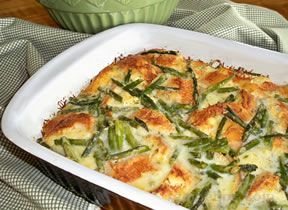 When done, the asparagus should have delicious caramelized brown spots and a crisp tender texture. 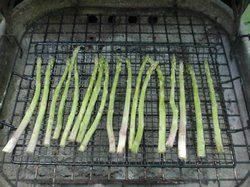 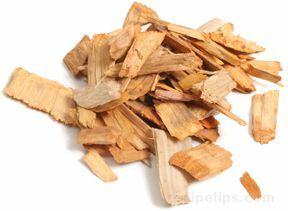 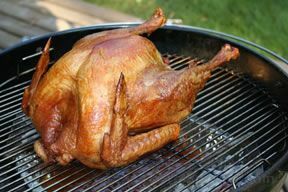 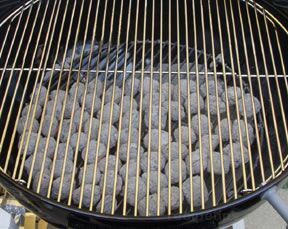 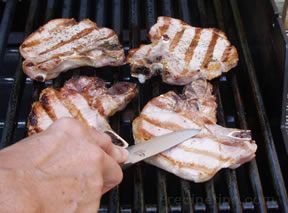 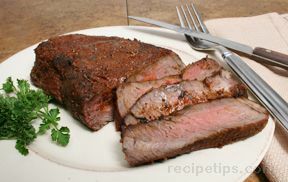 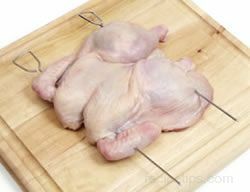 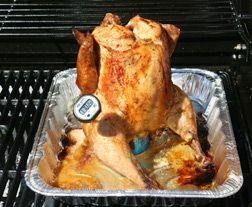 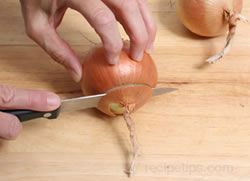 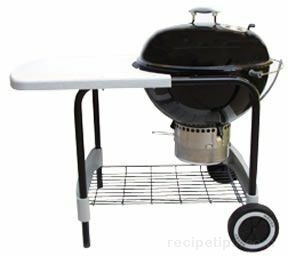 The spears should be browned but not charred. 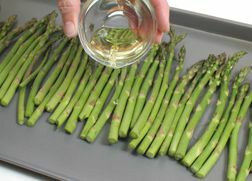 Do not overcook the asparagus. 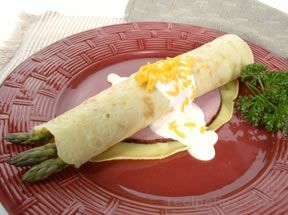 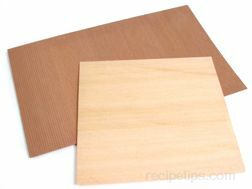 For more information on asparagus, see All About Asparagus. 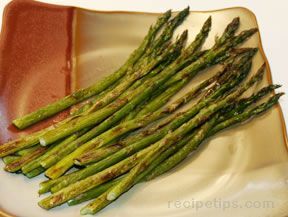 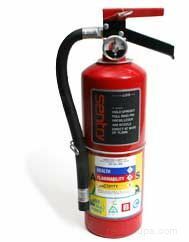 Do not overcook asparagus. 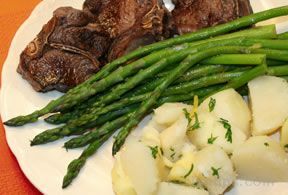 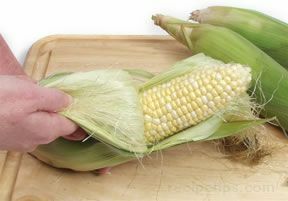 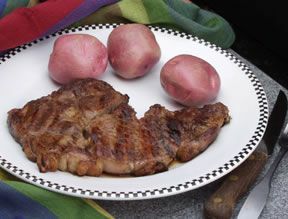 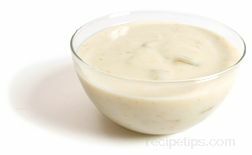 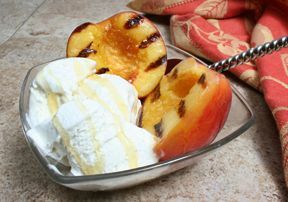 Overcooking will deplete its flavor and cause it to be mushy.